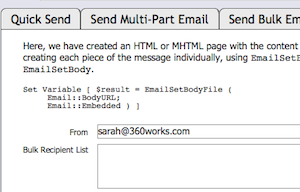 Email is better than ever with 360Works Email 2, Available Now! Send email using Amazon Simple Email Service, a product from Amazon Web Services that gives the flexibility of an in-house solution and the stability of a third party email provider. Just like an AWS account, there's no need for an SMTP server with this option. Try all the new features! To get access to all these new features, download a demo or purchase an upgrade from 360works.com/email-plugin/. 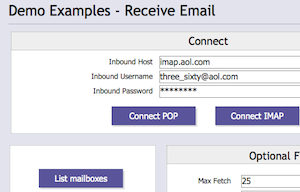 Email 2 is included with the 360Works Portfolio Bundle, which means that current subscribers will receive a Email 2 Enterprise License for free. It can be purchased separately as a $95 single user license, $195 Workgroup license for 10 users, or $395 Enterprise license for unlimited users and FileMaker Server / Web Publishing deployment. Upgrade pricing from version 1 is also available.